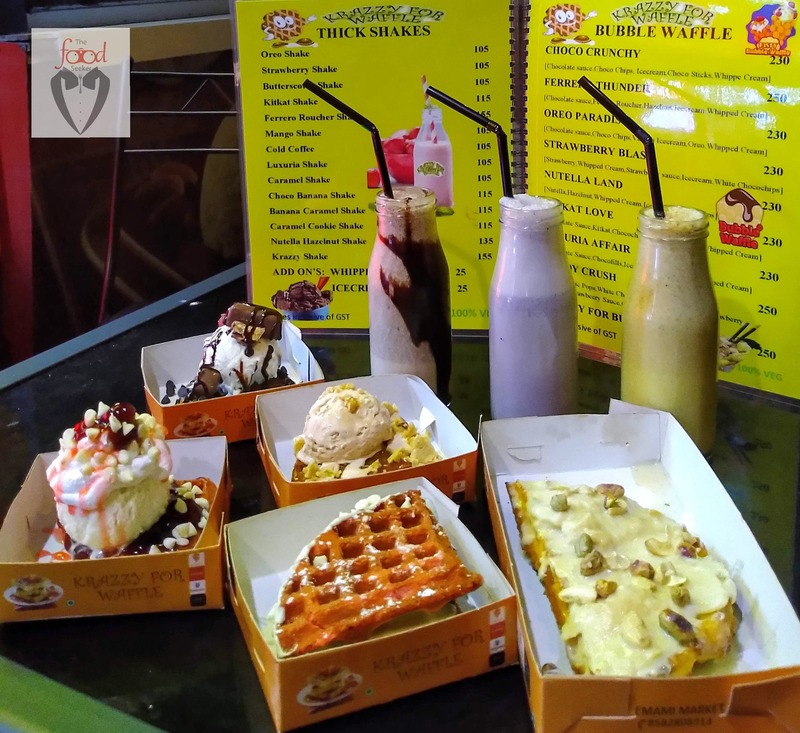 Krazzy For Waffle has opened their third outlet in Kolkata and this one is outside Emami Market near Shri Shikshayatan School at Lord Sinha Road, Kolkata. As we know they are already a popular name for all Waffle lovers, so expect this outlet to be very promising too. They have lot's of varieties to pick from their menu and the kind of quality they provide is absolutely fantastic. Be it any Waffle that you would like to indulge in, it won't disappoint for sure. So definitely this place is a must to have a nice sweet affair over Waffles. And apart from Waffles they also serve refreshing Shakes. Some of the picks from here at first are : Red velvet WaffleWich Snicker ka Tashan WaffleWich RedVelvet Desire Nolen Gur Craving (Highly Recommended) Cherry Sensation Rabri Wala Happiness (Highly Recommended) Snicker D Rocker From the Shakes try out the Caramel Cookie Shake and their signature Krazzy Shake. Now the best news is that Krazzy For Waffle opens at 9 am to 3 am every day,so it is a perfect cute place for those midnight sweet cravings.